The golden tassels of hazel catkins suddenly seem to be everywhere and look lovely in the early spring sun. In the last few days I have been aware of how the countryside is waking up from Winter. 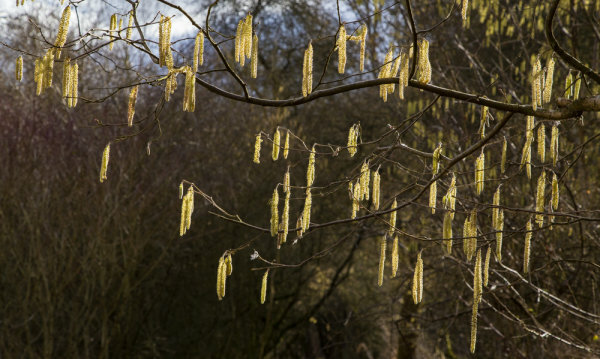 As well the cheeriness of clumps of fresh-faced snowdrops, hazel bushes and trees have been adorned with golden tassels swaying in the breeze. The day I took this photograph I really enjoyed feeling the warmth of the sun on my face and spotting the first signs of spring, leaf buds, the first few tentative blossoms and the green shoots which hold the promise of the carpets of bluebells to come.